Aechmea nudicaulis is an epiphytic or rock dwelling perennial native to central and northern South America where it grows on trees and rocks. 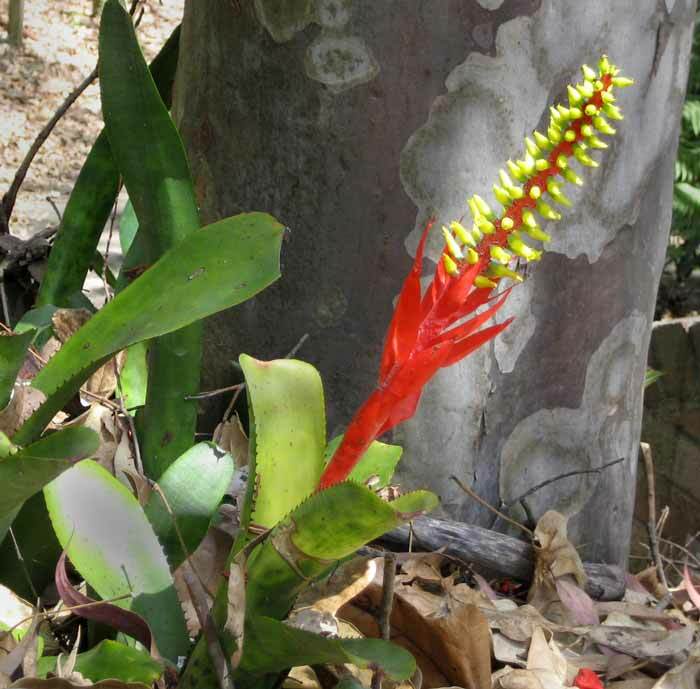 These epiphytes do not take nutrients from the host tree but obtain most of their water and nutrients from the urn created by the rosette of leaves. 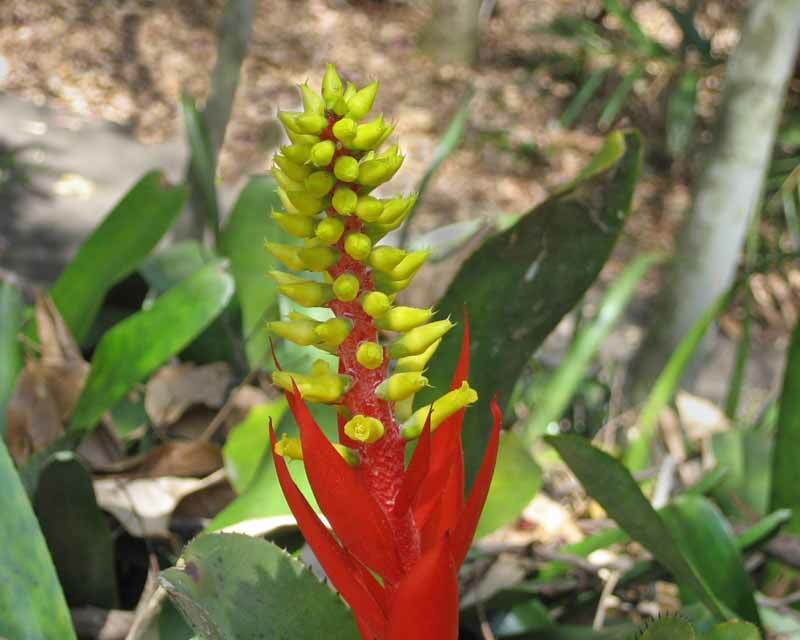 This is a most attractive plant with pale green arching leaves and a spike with large red bracts and greeny yellow flowers during spring and summer. The leaves grow in a rosette formation creating a well in the centre that collects and stores water for the plant. When watering these always ensure that the well is filled with water as most of the water is absorbed through modified cells at the base of the leaves. In tropical and subtropical regions they will grow outside on trees or in garden beds. they prefer filtered sun, humid conditions and a sheltered aspect but will grow in full sun. Aechmea nudicaulis can be grown successfully indoors in a sunny room. Maintenance: Whether growing in the garden or indoors do not over water. Aechmea nudicaulis - brightly colour bracts and flowers rising from the centre of the plant above the prickly margined leaves.